If Yevgeniy Timoshenko had a really sick and twisted sense of humor, he'd (yep, that's a he) would put on a long blonde wig, some high heels, and try to make out with a guy in a bar...after which he'd go all Crying Game and reveal he's actually a dude, so the friends of the poor guy he was making out with would be all like, "You were making out with a dude, dude! Ah dude! Hahahahaha! Dude!" We're sure someone like Gavin Smith would pay top dollar to have Yevgeniy do that to Sebok, right? Greatest prop bet ever? Timoshenko is currently among the chip leaders on Day 4 of the WPT Championship. Phil Ivey and Scotty Nguyen are making charges too. Follow the action here. After dominating final table play and at one time holding a 23,695,000 to 3,570,000 chip lead during heads-up action, Gus Hansen just missed out on his would-be record fourth WPT title. Gus had eliminated Jeff King, Tommy "The Asian Tommy Lee" Le, Cory Carroll, and John Roveto (all pictured above, although not in the order that we just listed) in near record speed. With 84% of chips in play once they got to mano e mano, he only had to get past David Chiu for the title. Chiu hung in while Hansen held the chip lead. But when Chiu eventually took the lead, it took only two hands to win the tournament. On the final hand, Hansen flopped two-pair to Chiu's top-pair. The turn brought Chiu a flush draw and he and Hansen got all-in. The river brought Chiu trip Aces and the WPT World Championship title. Read the drama of the final hands from the WPT's excellent tourney reporting site. Final table payouts were: David Chiu - $3,389,140, Gus Hansen - $1,714,800, John Roveto - $923,355, Cory Carroll - $593,645, Tommy Le - $395,725, and Jeff King - $263,815. The 2008 WPT World Championship final table is set with a familiar face on top of the leaderboard. Gun Hansen, winner of three WPT titles (and four if you count the Bad Boys tourney, which we don't) and maker of five final tables (and recent menu category addition), is positioned to take down his biggest poker payday to date. With only six remaining, Gus is big stacked with 8,570,000. He's trailed by Cory Carroll (6,670,000) and David Chiu (6,050,000). They're trailed by John Roveto (2,720,000), Tommy "The Asian Tommy Lee" Le (1,950,000), and Jeff King (1,305,000). All return on Saturday to play for the $3.3M first place prize. Just missing the final table were Amir Vahedi (7th), Tom "durrr" Dwan (9th), Kenny Tran (10th), and Michael Gracz (11th). Yeah, that's all we got. Only 17 remain in the $25k buy-in WPT World Championship. Leading the way is Amir Vahedi with 3,907,000. Vahedi you may remember as the sixth place finisher in the 2003 WSOP Main Event. While it doesn't seem like we've heard much from the cigar chumping Vahedi over the years since, the dude does have $2.85 mill in tourney earnings. Still hanging around the top of the leaderboard are both Gus Hansen (2,929,000) and Tom "durrrr" Dwan (2,874,000). Some other big name big stacks include past WPT and WSOP bracelet winner Michael Gracz (1,674,000), our new pick to win it Kenny Tran (1,442,000), and Robert Mizrachi (1,079,000). Defending champ Carlos Mortensen was knocked out in 38th place. And f' us if we're wrong, but we think with all of the elminations today, Jonathan Little wraps up WPT POY honors. 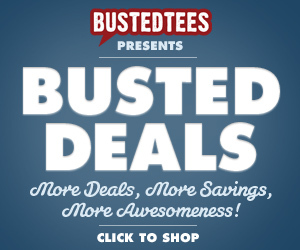 Well, found the link, it's true. WPT Ceremony of Champions: Gavin Smith Injured; Jennifer Tilly to Quit Poker? On Monday night the World Poker Tour hosted its Ceremony of Champions gala inside the O Theater at the Bellagio in Las Vegas. The event brought together all past WPT winners, presenting them with newly designed Tiffany & Co. bracelets. Before the actual awards ceremony was a cocktail party where Gavin Smith discussed the bad beats his body has been taking lately, Phil Gordon and Howard Lederer talk about settling their WPT lawsuit and rejoining the circuit, and Jennifer Tilly sounds as if she's about to give up poker. This last one is particularly tragic, because who is going to be there now to mentor Lacey Jones, Liz Lieu, and Michele Lewis on how to stay smoking hot while pushing 50? Or give them the fountain of youth juice she's drinking or however the hell she's doing it? Looking at our Menu Categories (far right, under the Poker Helper ad), it's bordering on ridiculous that Andy Bloch and Blair Hinkle have their own links yet Gus Hansen is left out. Well, not any longer he isn't. A win here and Gus would earn a record fourth WPT championship title and boost his career tourney earnings to over $7 mill. Even more importantly, his performance today earned him a year's supply of almonds as the Blue Diamond Almonds Bold Player of the Day. Can't front on that. Some other big name big stacks include Tom "durrr" Dwan, Mark Newhouse, Men "The Master" Nguyen, and Andy Black. Last year's champ Carlos Mortensen is still alive as well. Not alive but in the money is Daniel Negreanu, who was involved in the biggest hand of the night, a four-way all-in involving two sets, a flush, and two-pair. Read about the cold, soulless, unforgiving details of how poker can be sometimes here. Speaking of soulless, Jordan Rich, a ginger, which means he has no soul, was the bubble boy. * All chip counts "unofficial" until the WPT say so, so check back here for the "official" counts later in the morning. 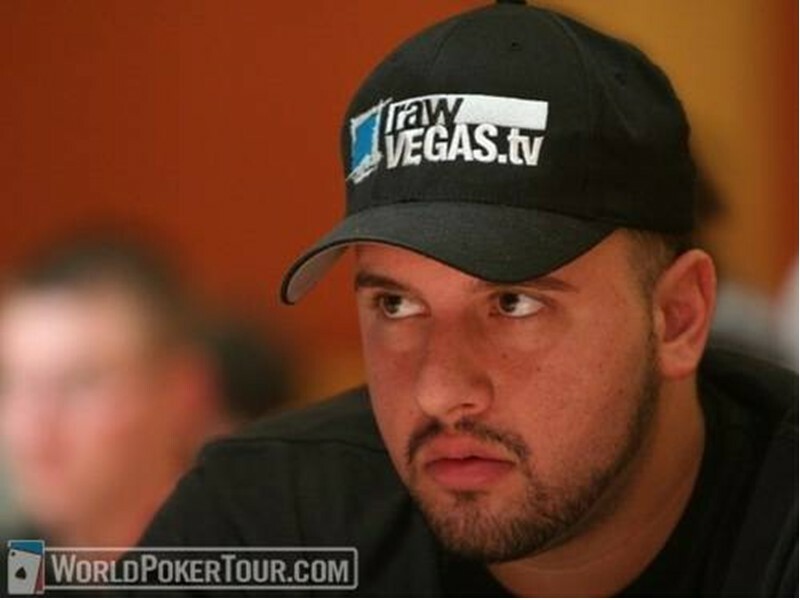 While donning a RawVegas.tv lid didn't do much for Michael "The Grinder" Mizrachi's karma yesterday at the 2008 WPT World Championship at the Bellagio in Las Vegas, his brother had a helluva day. Robert Mizrachi stormed to a huge chip lead, ending the day stacked at 523,200. He's trailed by Jayde Tran, a woman, with 406,700. Only 188 remain going into Day 3 play. Defending champ Carlos Mortensen is among the big stacks with 371,600. Some other big name big stacks include Kenny Tran (367,400), Michael Gracz (364,800), Marcel Luske (325,200), Tom Schneider (288,000), Joe Sebok (278,100), Gus Hansen (246,000), our favorite scarf-wearing Euro Dario Minieri (220,000), and the spectacularly breasted J.C. Tran (201,300). Our perennial pick to win it, Huck Seed, is still alive with 71,000. Get full chip counts from the WPT here. UPDATE: Day 1b of the 2008 WPT World Championship is done, with David Benyamine (169,350) and Tom "durrr" Dwan (155,675) leading the way among the leaders. Top overall is Jeff King with 211,575. Kenny Tran has 193,025 and last year's champ Carlos Mortensen is stacked at 172,075. There were 335 runners who showed up today, pushing the total field for the 2008 championship to math math math...545. While short of last year's record of 639, it still guarantees first place a massive $3,389,140 pay day. Only 35 were eliminated from today's field, and many big names are among the early big stacks, including Joe Tehan, whose name sounds too much like "Tehran" for our liking (143,275), the spectacularly breasted J.C. Tran (at right looking extra sultry on a bed of feathers grrrrrrrr, 138,350), Marcel Luske (117,225), Gus Hansen (110,325), and Daniel Negreanu (89,200). Get full official chip counts from the WPT here. 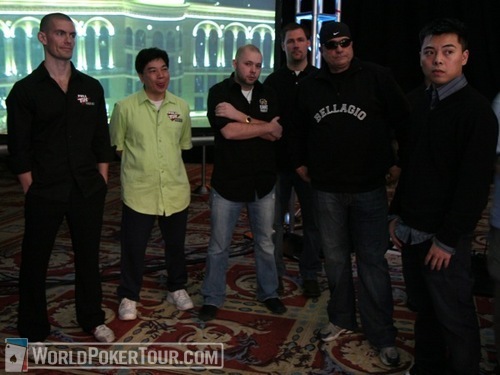 The 2008 WPT World Championship kicked off at the Bellagio in Las Vegas today. A somewhat disappointing field of 210 showed for Day 1a. The anticipated 450-ish total field will fall way short of the record 639 of last year (won by Carlos Mortensen, who banked the $3,970,415 top prize). Chip counts are still unofficial at post time, but leading Day 1a action (as far as you know) is Billy Baxter with 167,150. 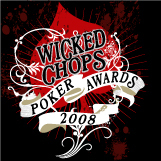 He's followed by 2008 Wicked Chops Poker Award Winner (best nickname category) Darrell "Deep" Dicken (163,000). Other early big stacks include our favorite scarf-wearing-Euro Dario Minieri, Steve Billirakis, Brandon Cantu, and Mike Sexton. Get full chip counts from the always great WPT tournament reporting team here. In related news, go get your notepad out right now. Because if you want to learn how to bag any lady without having to buy a Frank T.J. Mackey instructional video, watch the clinic put on by Blue Diamond Almonds Bold Player of the Day Allen Kessler here. And in unrelated news for all of our pothead readers, here's what the Hot for Words girl, 27 year-old Russian babe Marina, has to say about 420.